The W Condos are beautifully appointed with 10-foot ceilings, Italian-design cabinetry, Gaggenau Appliances, 14-foot wide balconies, sleek bath fixtures, walk-in closets, choice of finish packages, and pre-wiring with the latest technology. Since the innovative W Hotel brand is involved, it's no surprise that these Downtown residences are selling like hotcakes. Proximity to I-75/85 when you need to drive, to a Marta train station when you want to walk, and to all of the W's trendy amenities just an elevator ride away are more than enough reasons for this property to top anyone's list. The W offers more than a place to live... it's a complete lifestyle. 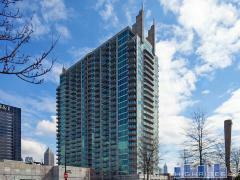 Have any comments or questions about W Residences of Atlanta? Ask your question and/or share your thoughts about this Building.